Unfortunately I didn't grab any photos of it. But just imagine a downtown street filled with carts of apple pies, apples, apple cider, and apple cider donuts. 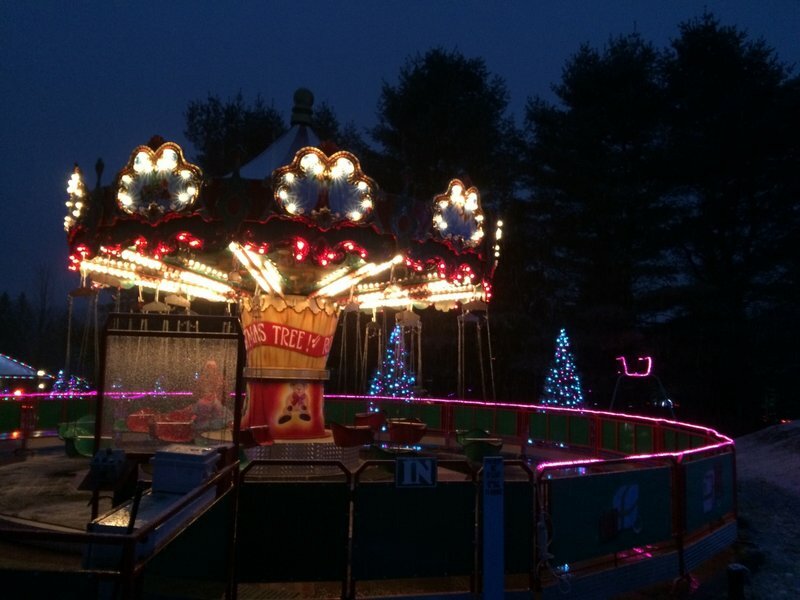 They also had 3 small carnival rides (carousel, Dizzy Dragons, fun house) and carts with your standard fried fair food. Though one cart had pumpkin fried dough which was a weird and unique item. What did they have at the garlic festival? I'm picturing tents with garlic spices and foods like fries sprinkled in garlic. ^ That's exactly what they had! I bought three small bags of different style garlic along with some seasonings and sauces. Also had some parmesan garlic wings...they were just okay. 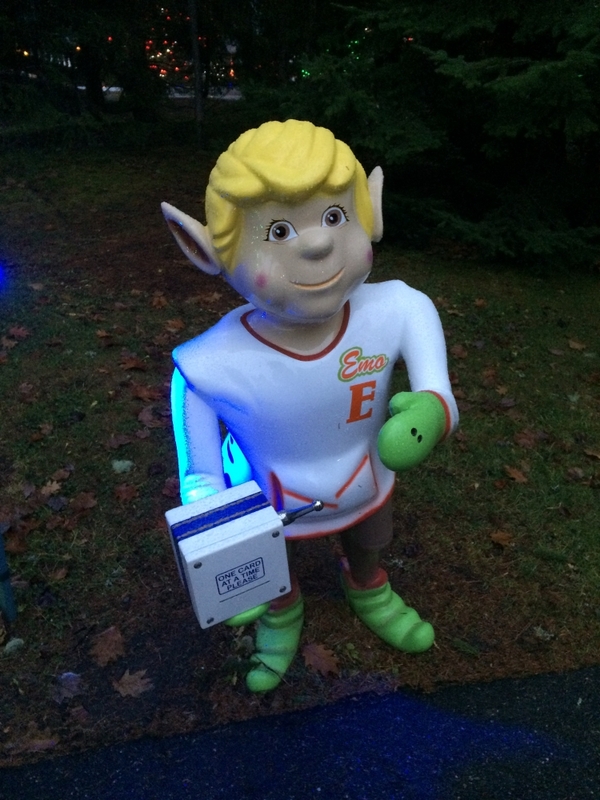 The end of October marks the end of the New England theme park season as Jack Frost becomes more and more prevalent. 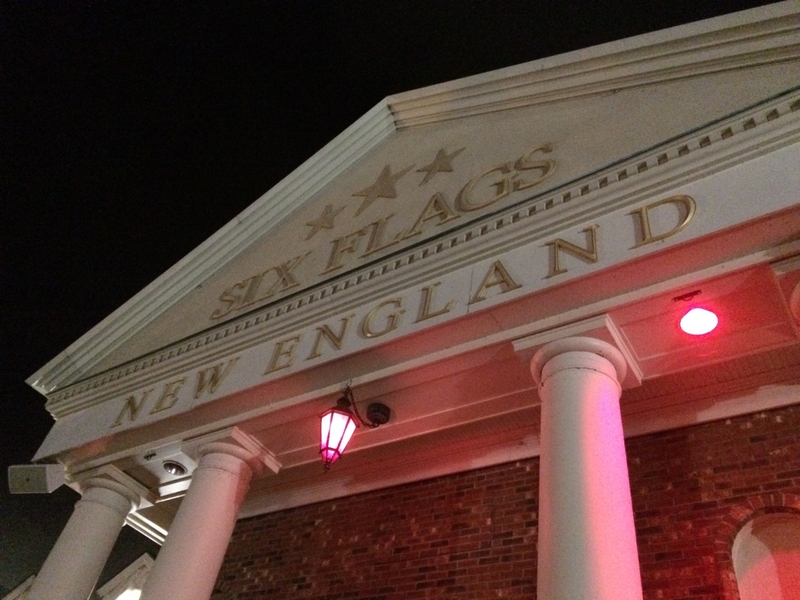 As usual, I made sure to finish my season right with a trip to Six Flags New England on its final operating day of the year. My goals for the visit were to ride all of the coasters (except Mind Eraser and Great Chase) at least one more time before the end of the year. 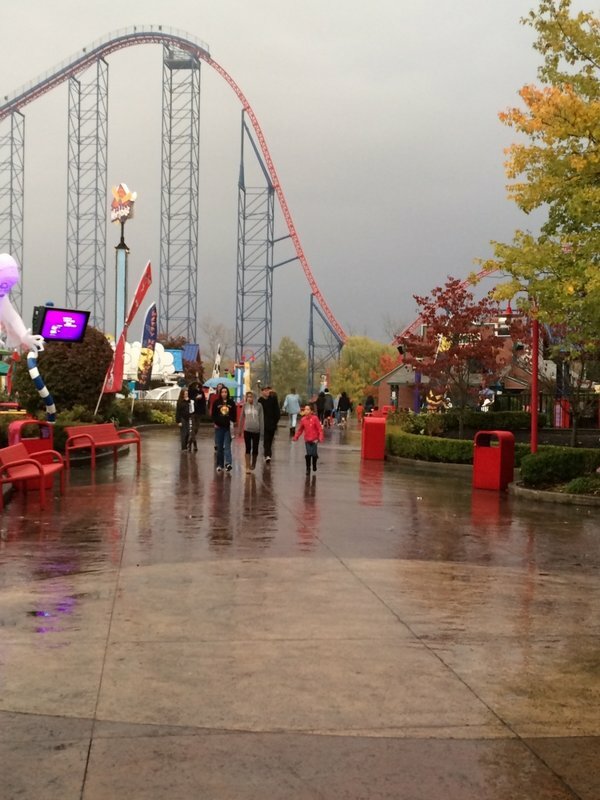 Thankfully the park wasn't overly crowded thanks the cool and rainy weather. 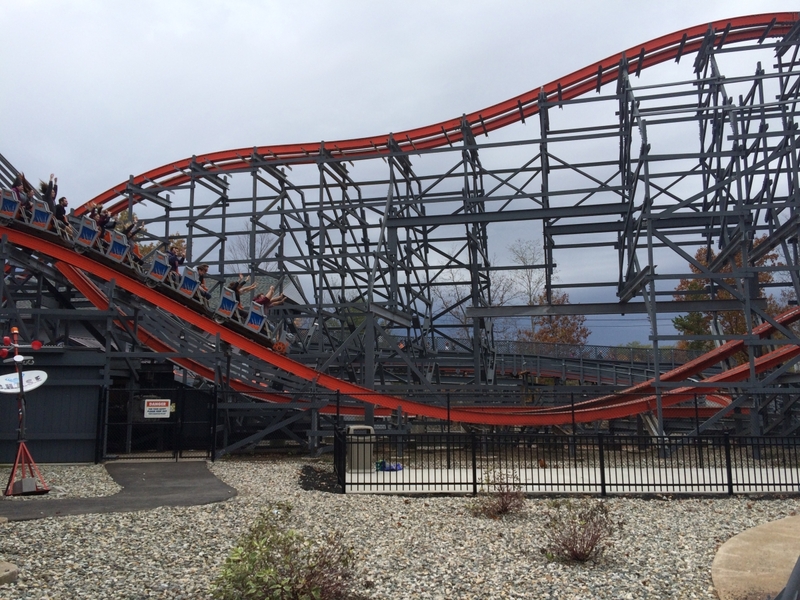 Despite the cooler temperatures, all of the coasters were running really well, particularly Wicked Cyclone and Superman, which were both hauling through the course and providing plenty of air that will be missed over the next few months. As of 8:55, I had been able to hit all of the coasters except Goliath, which had been closed due to the rain earlier in the day. 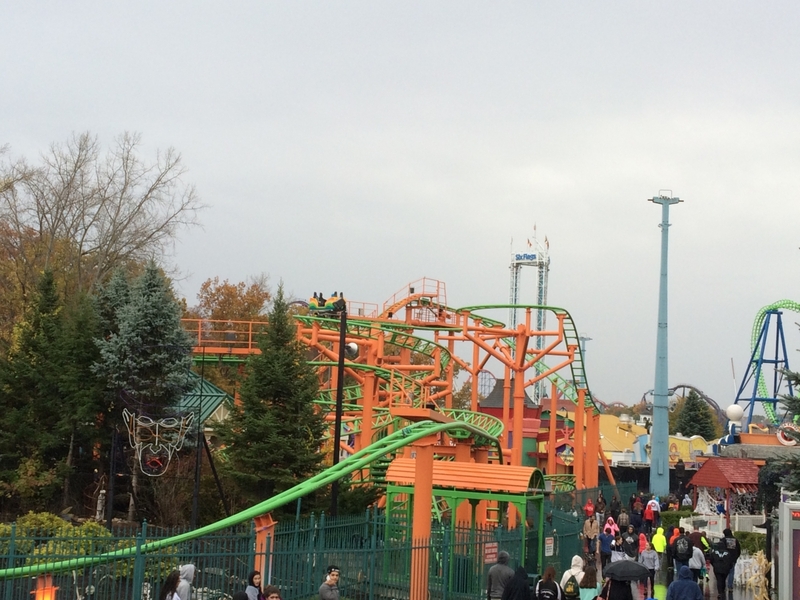 I tried to finish my season with a final ride on Wicked Cyclone. However, the line was blocked off at 8:55. Seeing that, I was a little disappointed and made my way towards the exit. However, Goliath was finally running and the queue was still open so I decided to give it a ride. 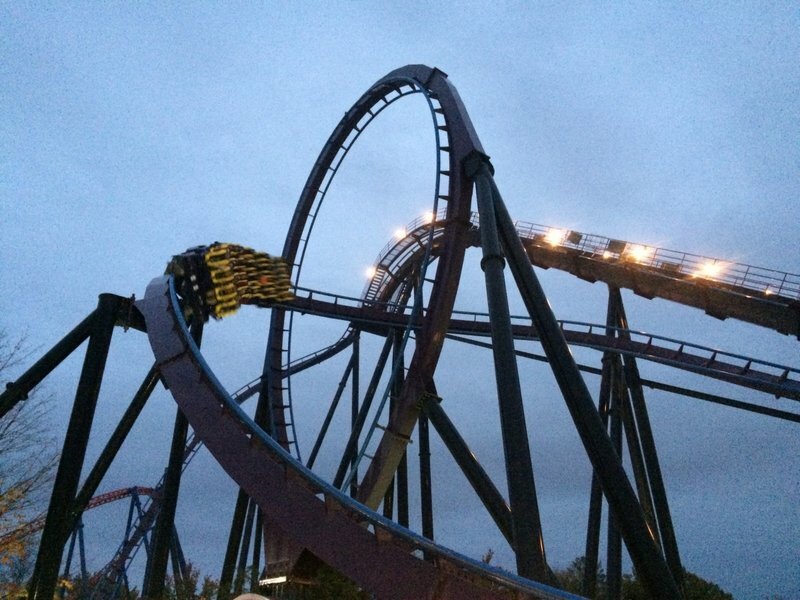 Up to this point, I have been lucky enough to never receive a bad ride on this coaster even with the new trains. 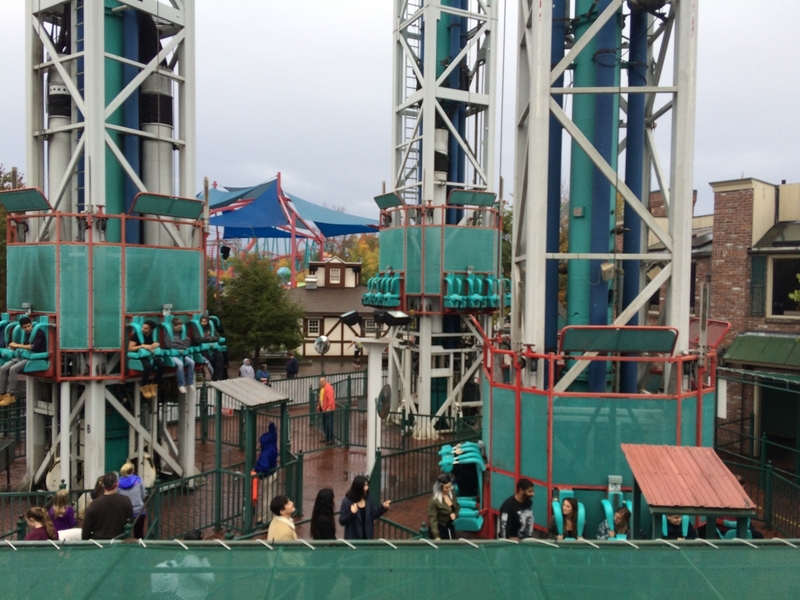 Unfortunately, Goliath finally gave me that awful ride that everyone else has been complaining about on this forum. Maybe my luck can come back in the spring, but now I won't take my good rides for granted. The park did a great job with the Fright Fest theming. 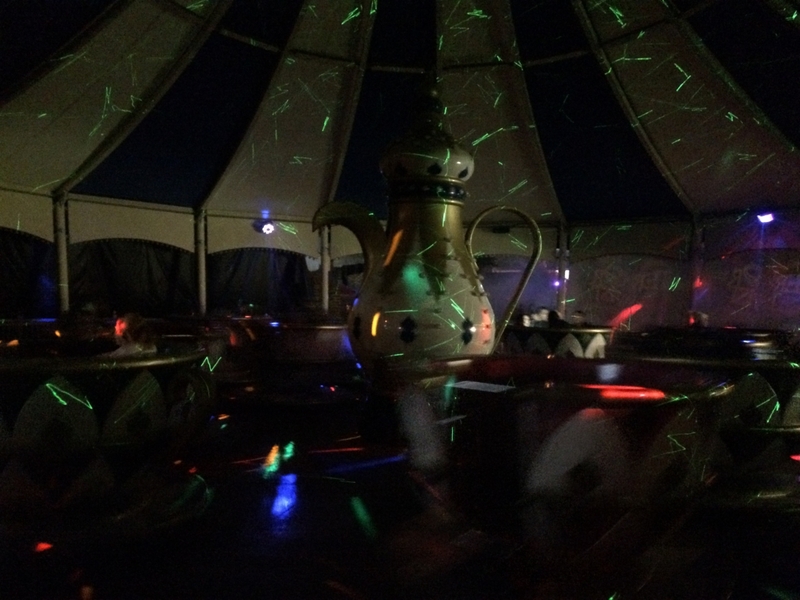 Several rides had solid overlays like Pandeomium, the Tea Cups, and the Bumper Cars. 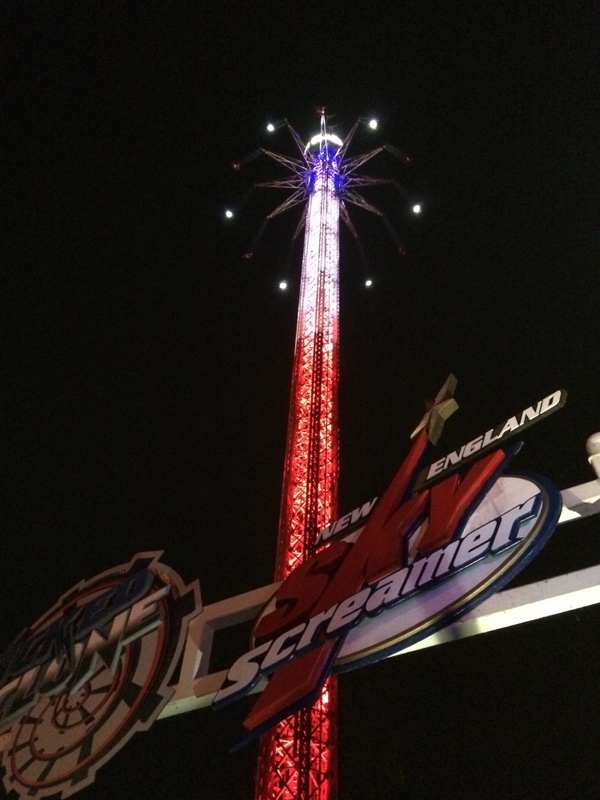 The SkyScreamer was also running in reverse, which was amazing for two reasons (thrill and the wind wasn't sent right into my face on a frigid night). The park already had Splash Water Falls taken down and was clearing the site for the Joker, but I didn't notice any track. I'm really looking forward to riding it in 2017 since the one down in New Jersey was closed for all of my visits this year. The last operating day of 2016 means my last rides on Wicked Cyclone. This ride is insane and I don't regret the park's decision to transform the old Cyclone. I hate going six months without this ejector air. 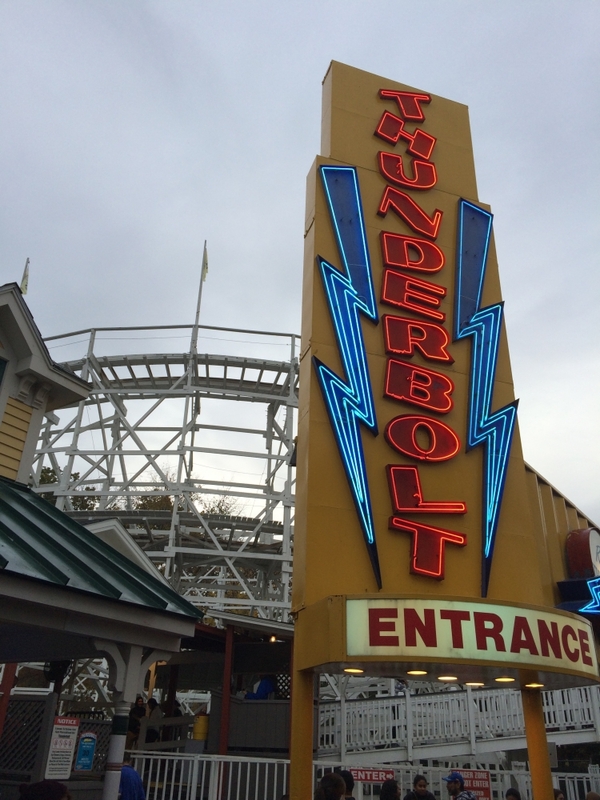 One of the best coaster signs anywhere and a pretty good woody too. I love the second to last hill. It's a miracle! 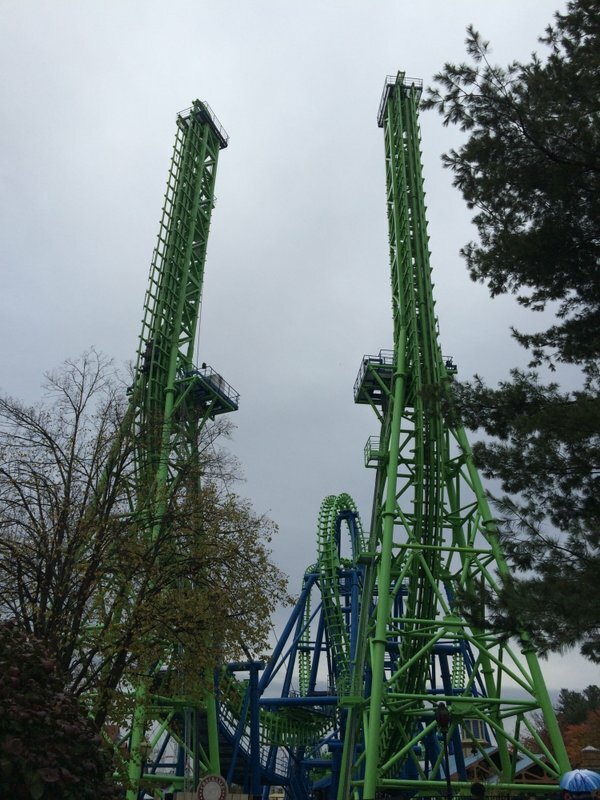 All 3 Scream towers were open! And it wasn't even a crowded day. In typical Six Flags fashion, two broke down immediately after I took this photo. 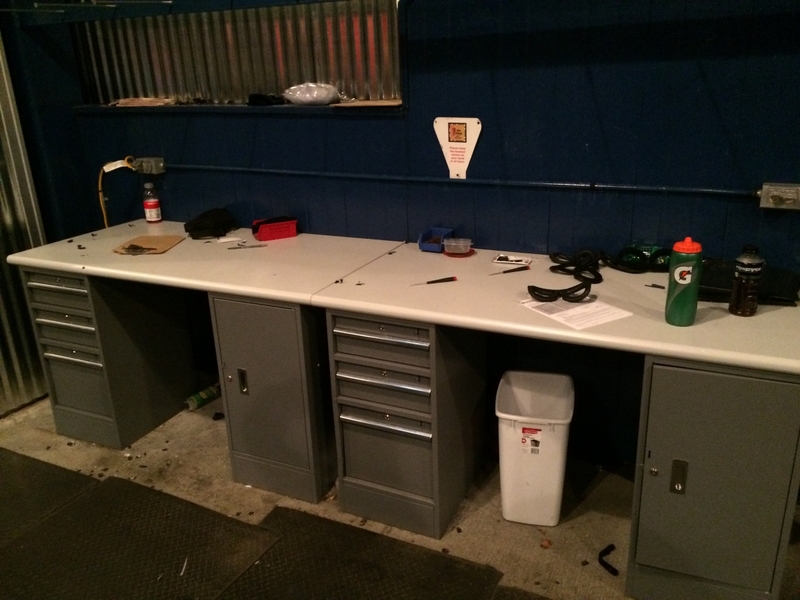 Superman has been running much better this year thanks to the TLC in the off-season. 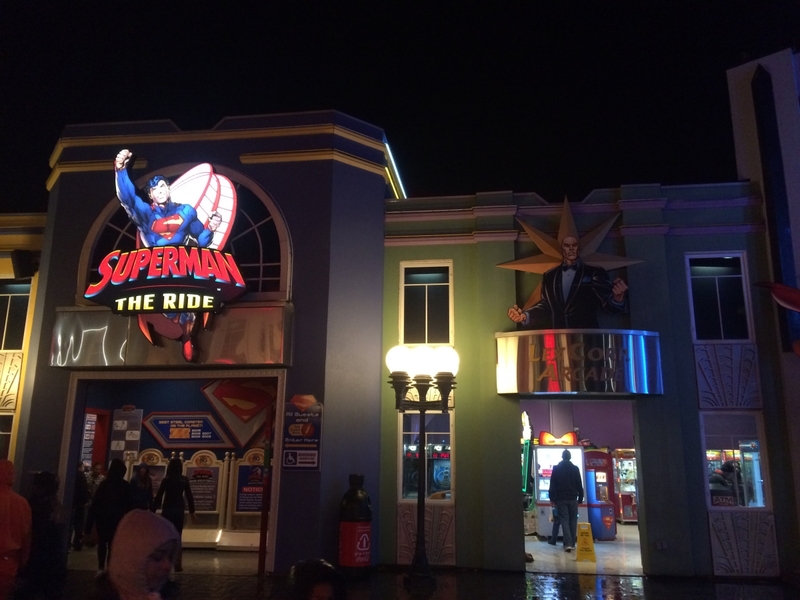 The other superhero isn't as good as Superman, but few rides are. It's impressive how many elements were crammed in such a small space. 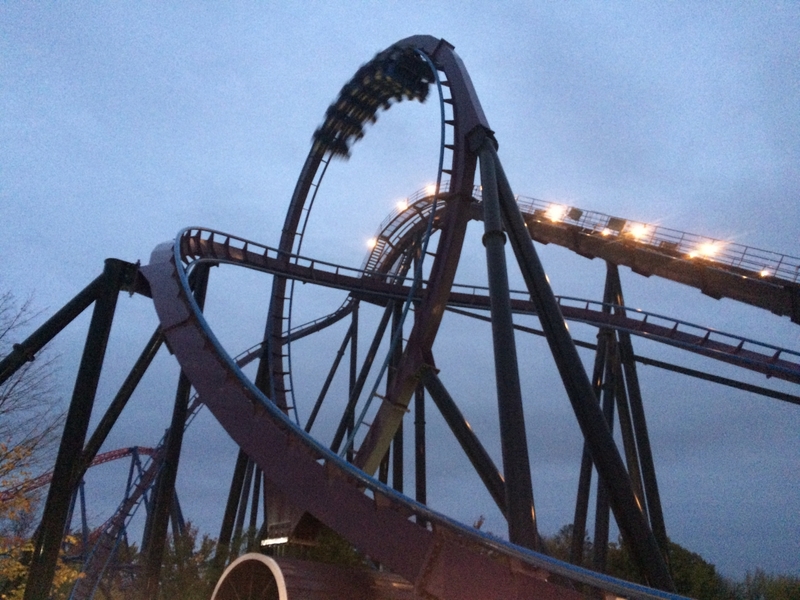 Still one of the best zero-g rolls of any coaster. 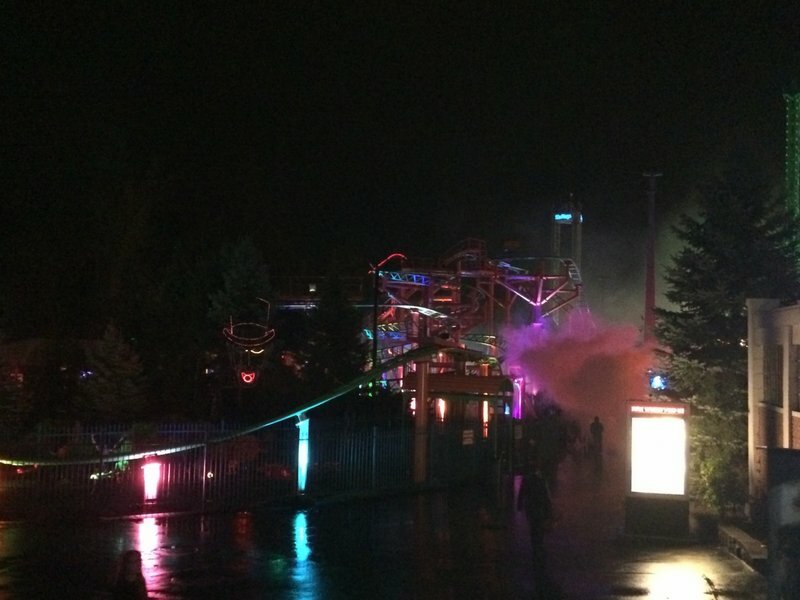 Zombie Coaster by night. They did a nice job transforming some of the attractions. Terror Twist, the artist formerly known as the Tea Cups. This reminded me of those indoor scramblers. 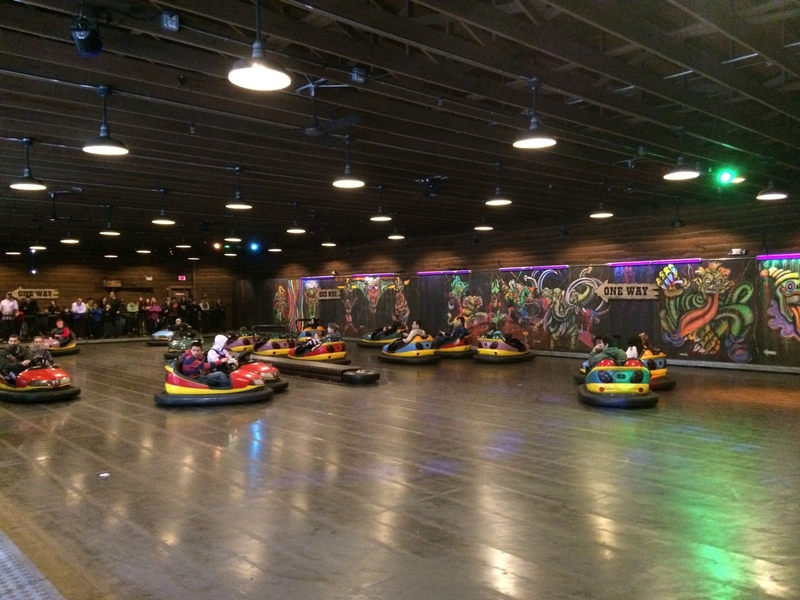 Even the bumper cars had some added theming. Mind Eraser looked scary enough as is. Such an awful ride. 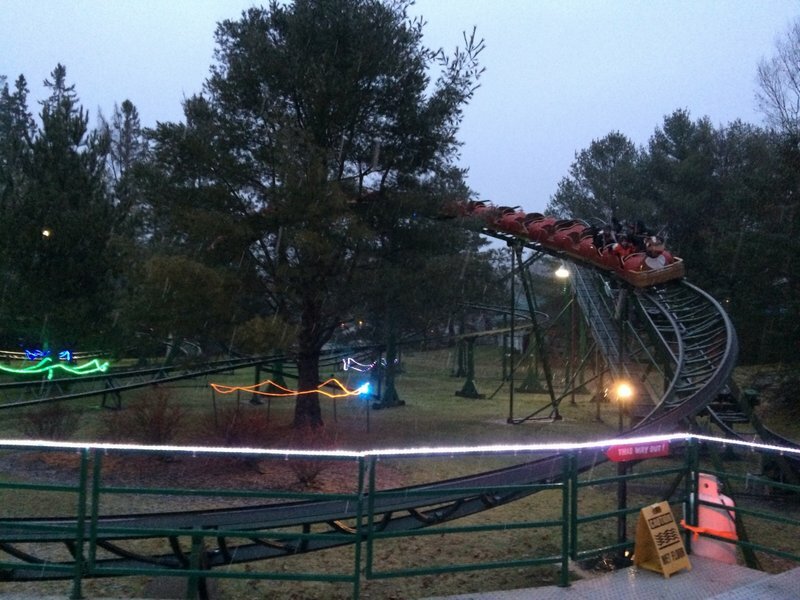 While Wicked Cyclone is my favorite coaster at the park, I still like to have my final night rides on this. Probably the best part of Bizarro has been kept. I'm glad the VR is gone. Please never come back to Superman. 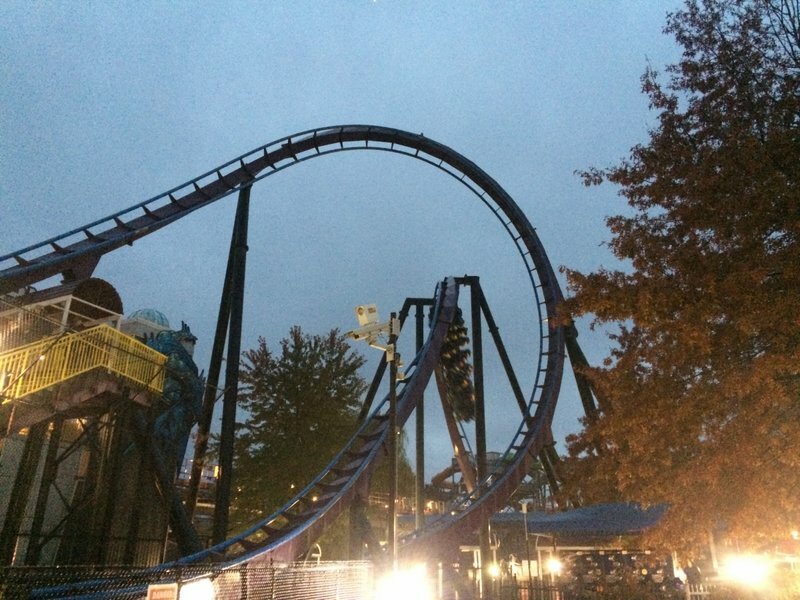 One of the best parts of Fright Fest is the backwards SkyScreamer. I'll be back on April 1st. Thanks for the look at the last operating day of 2016. I have yet to visit the New England parks, but Wicked Cyclone looks pretty tempting. Nice report! While not my favorite park, I admit that in the last few year's I've started to have a slightly more favorable opinion of the place. I like the direction that they're heading in. Well, this is an unusual feeling. Looking at that report is making me miss SFNE! After a decade spent pretty much wanting nothing to do with the place, my trip there this summer completely turned me around on it. Of course it's not perfect yet, but it's come so far in the right direction, and I had a genuinely great day there. Now I'm really wanting to get back. Kinda nice to get that out of a place I'd all but given up on! coasterbill wrote: Nice report! While not my favorite park, I admit that in the last few year's I've started to have a slightly more favorable opinion of the place. I like the direction that they're heading in. Hopefully that direction calls for the eventual removal of Mind Eraser lol! cfc wrote: Thanks for the look at the last operating day of 2016. I have yet to visit the New England parks, but Wicked Cyclone looks pretty tempting. 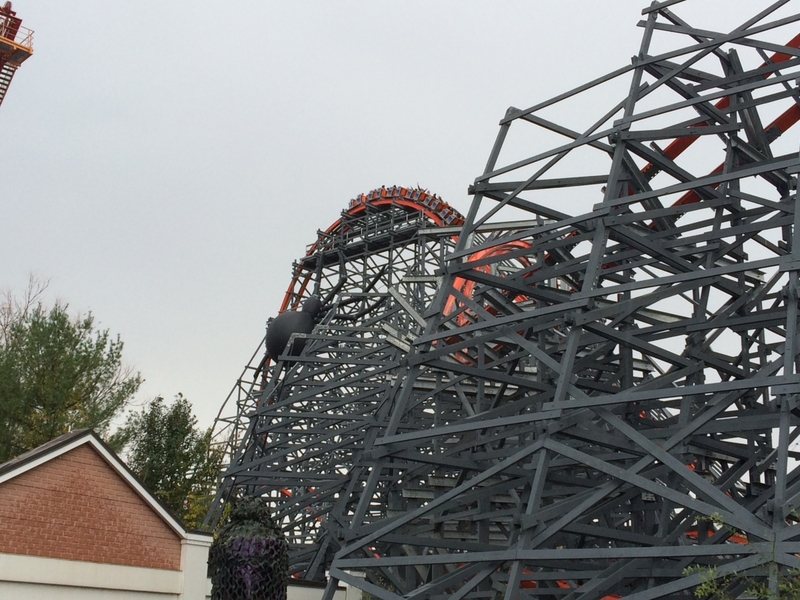 Wicked Cyclone is an excellent coaster. Of the 3 RMCs I've been on, it's my second favorite behind Twisted Colossus and ahead of Storm Chaser. 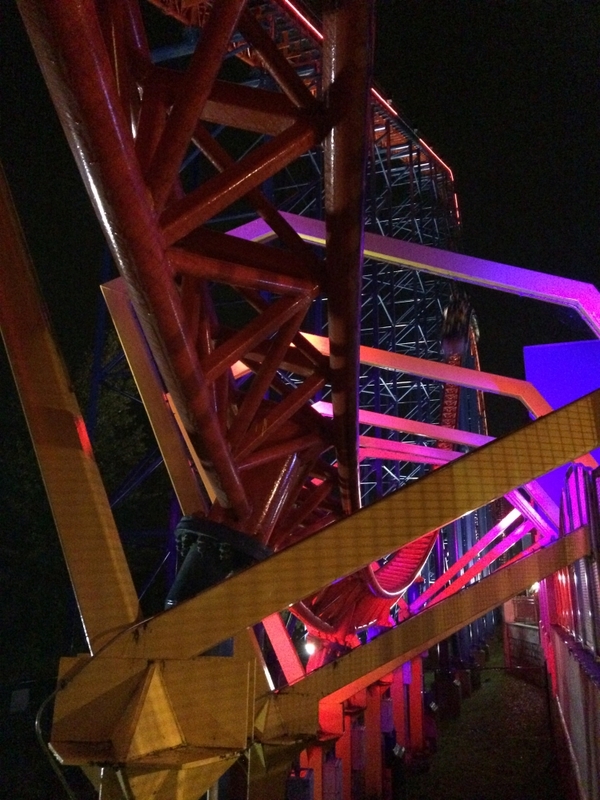 The coaster really excels at keeping you out of your seat. Rai Fox wrote: Well, this is an unusual feeling. Looking at that report is making me miss SFNE! After a decade spent pretty much wanting nothing to do with the place, my trip there this summer completely turned me around on it. Of course it's not perfect yet, but it's come so far in the right direction, and I had a genuinely great day there. Now I'm really wanting to get back. Kinda nice to get that out of a place I'd all but given up on! I agree the park is trending upwards. There was a 2 year stretch where I actually stopped going to the park because I had too many frustrating visits (terrible operations, the clientele, they kept removing rides without adding things back), but now it's back to my primary park. 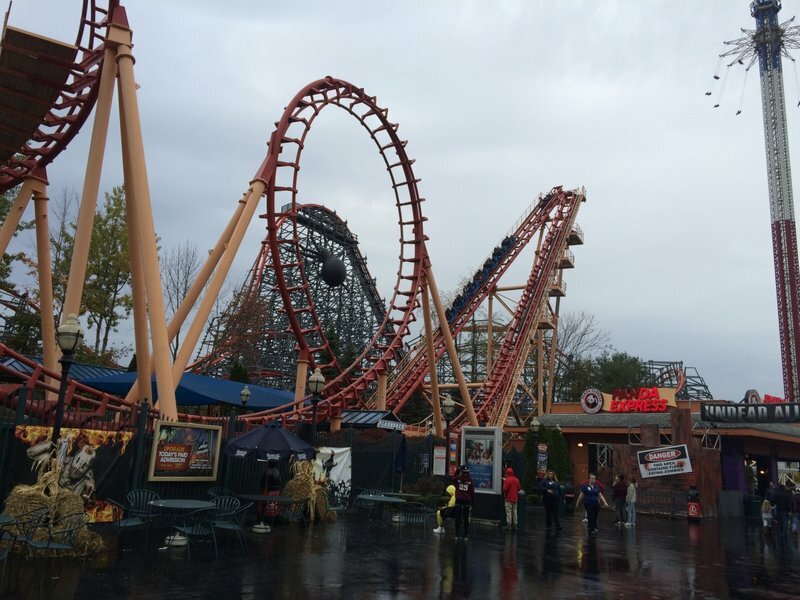 Wicked Cyclone and Superman are two of the best coasters anywhere and the park has done a good job replacing lost attractions in recent years (outside of the Sky Ride) while improving the operations slightly...outside of the VR disaster. Or switch the VR there! That way VR stays the heck away from Superman and sends the public there. 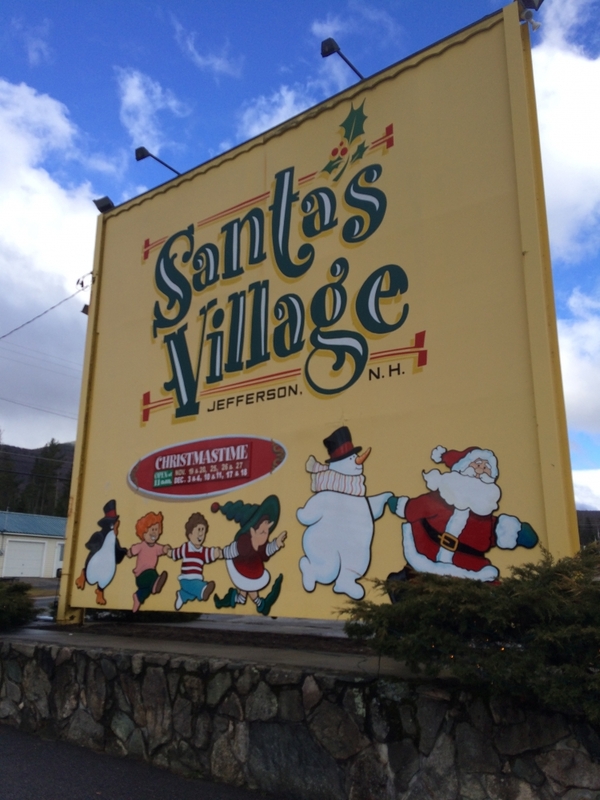 Earlier in the summer, I made my first visit to Santa's Village in almost 10 years. Despite primarily being a kids/family park, I had a really nice time because of the park's excellent theming and solid collection of rides. 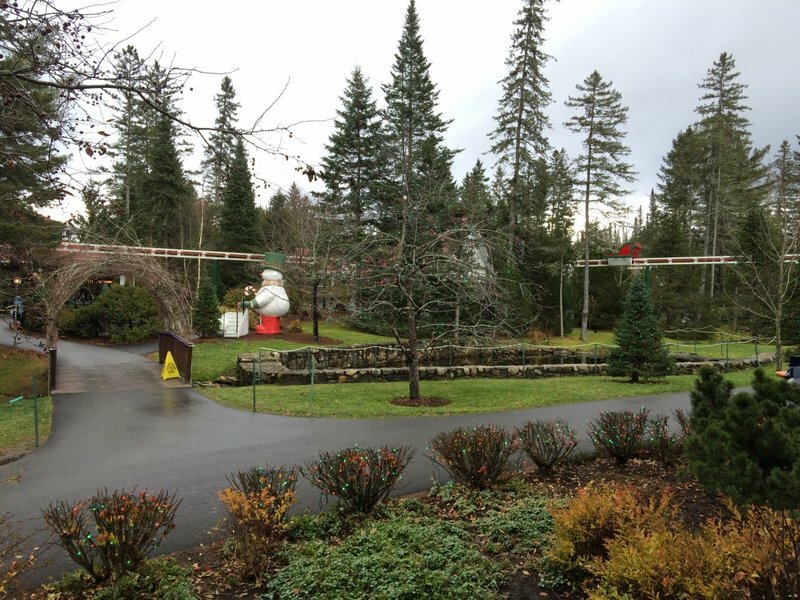 Once winter hit, I knew I had to come back to see the park during the Christmas season. In late November I made my way back up to Jefferson, NH and convinced my girlfriend to join me. We had a blast again. 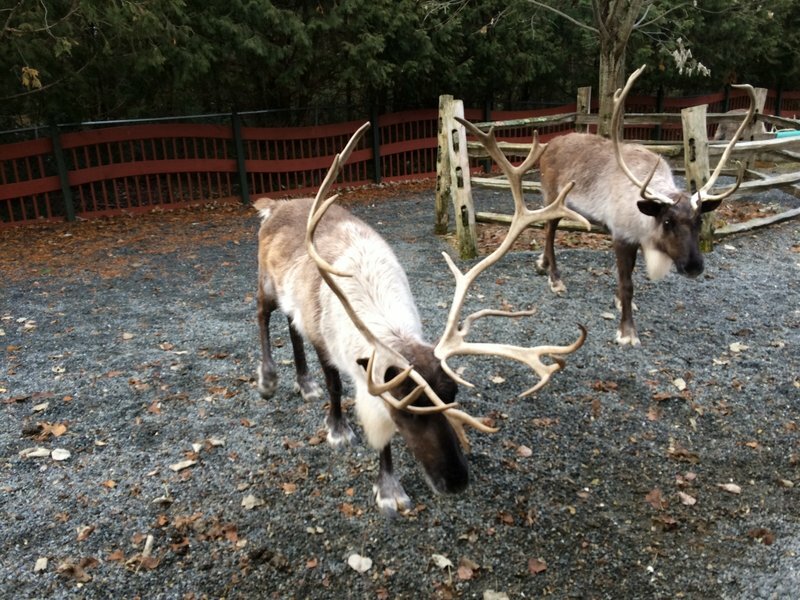 With snow in the forecast and the cold weather, the park wasn't particularly crowded and everything was a walk-on. Even in the summer, the park never got that crowded. All the other visitors were families with kids, which is a stark contrast from Six Flags, and then there was my girlfriend and I. At one point while I was riding the swings, a family asked my girlfriend (who was sitting out) how old her kids were. She kind of dodged the question and then I ran over after getting off the ride. Guess it looked weird being there without kids. But really we're just two big kids. 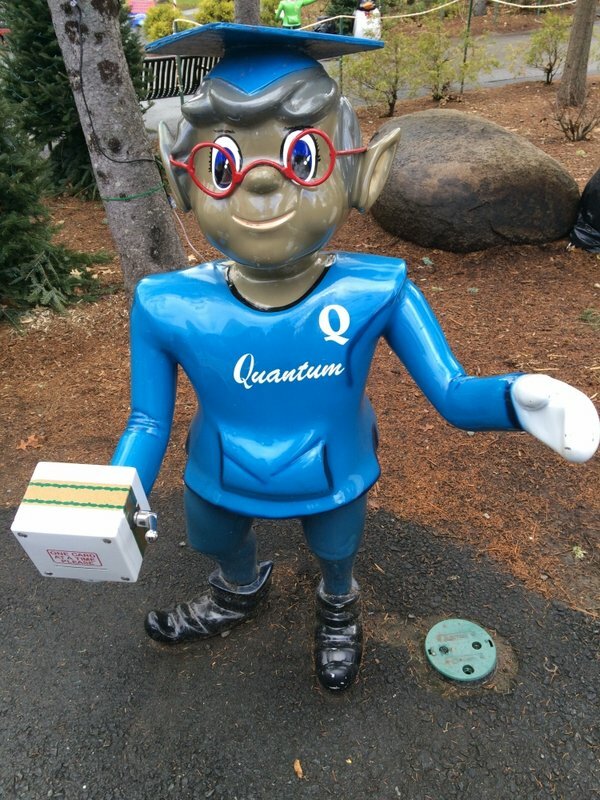 The park always has a great atmosphere with all of the Christmas theming (buildings, music, rides, etc), friendly employees, and the elves. I would like to apologize how my previous TR was missing the elves so I made sure to include some of my favorites below. 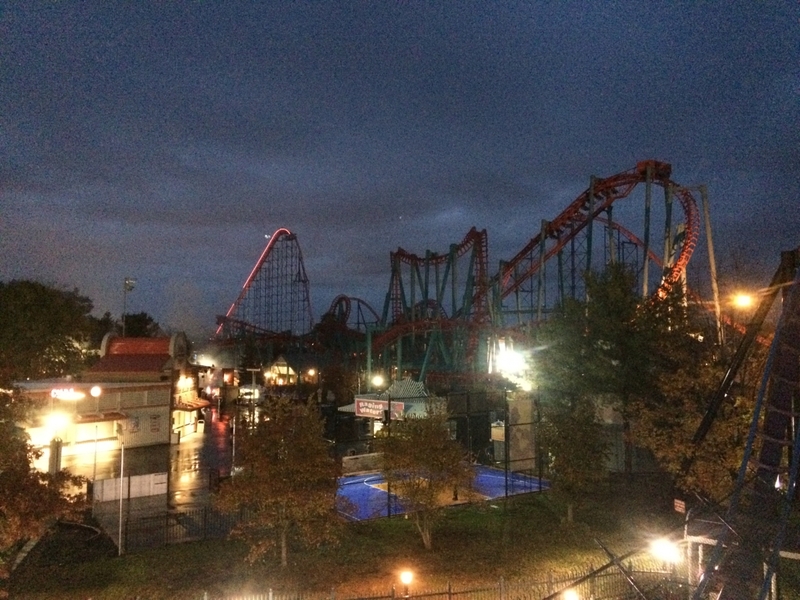 Once night hit, the park really came alive and was a sight to behold. They say at Disney that you are never more than 30 feet from a trash can. 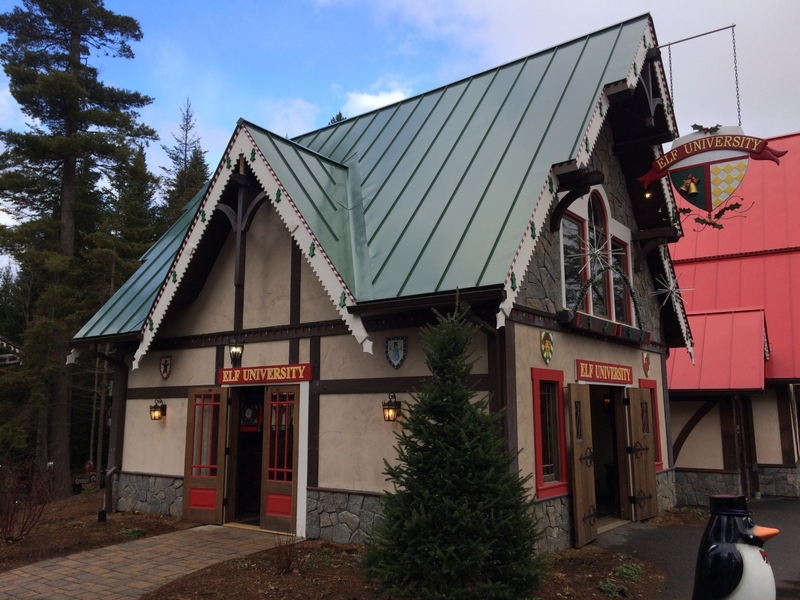 Well at Santa's Village, you are never more than 30 feet from a Christmas tree. 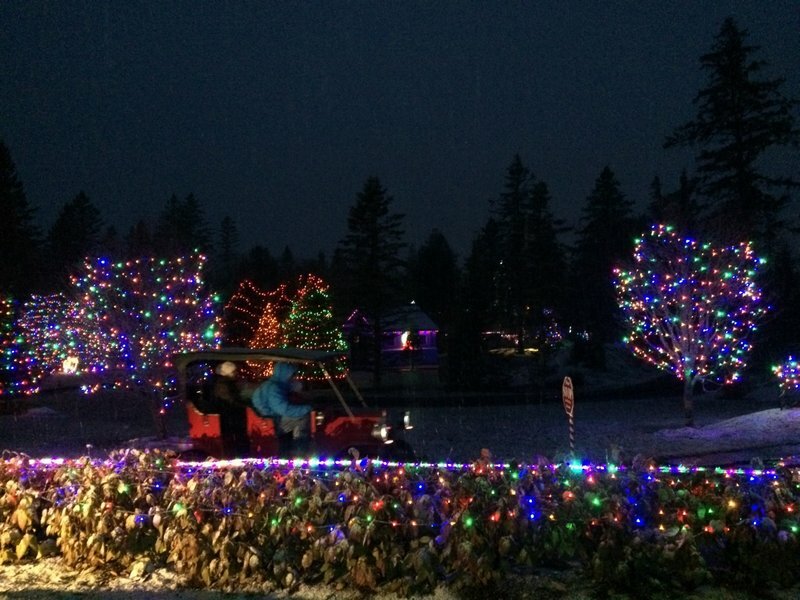 They had countless trees scattered about and all were adorned with bright Christmas lights. The park usually closes at 6 in the summer, so I've never been at the park after dark before. I really wish they stayed open late all the time since the light display was really that good. My ride on the monorail was especially beautiful at night with all of the lights and because it started snowing. 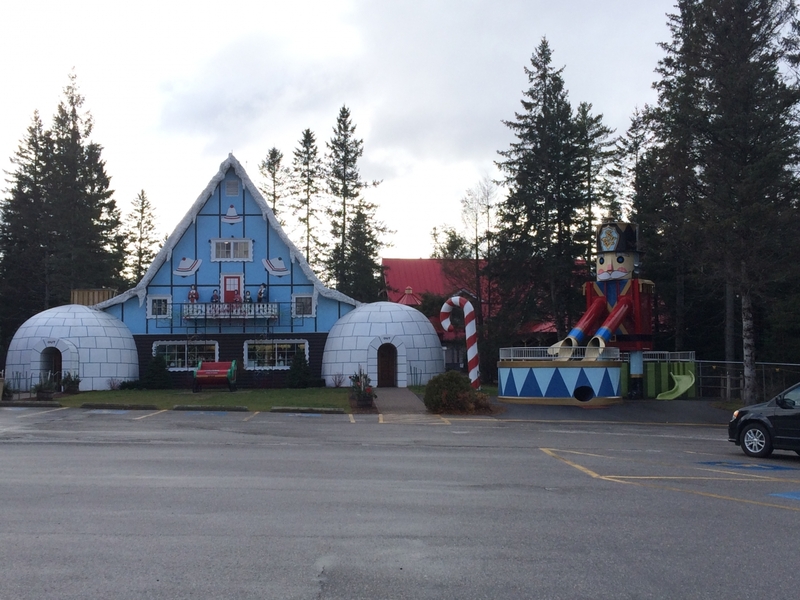 Santa's Village was the first time I ever got to be at a park in the snow. 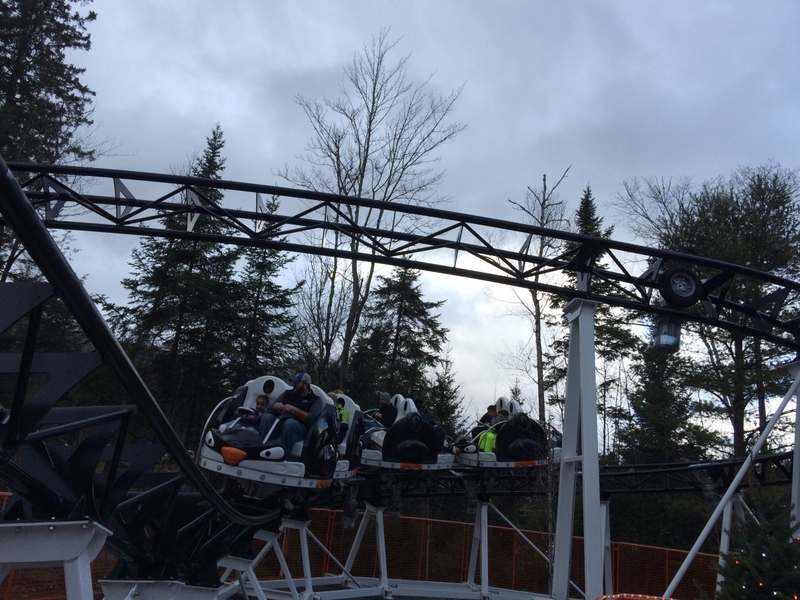 This allowed me to cross one item off my bucket list- riding a coaster in the snow. Rudy's Rapid Transit fit the bill and it was cool riding in the snow. The temperature itself didn't bother me, but my mittens weren't exactly waterproof so my hands got quite cold. It was worth it for the experience though and it taught me to bring heavy waterproof gloves the next time I go to a winter park event. The other highlight of the day was YouTubing (yes that is actually the name of a ride). 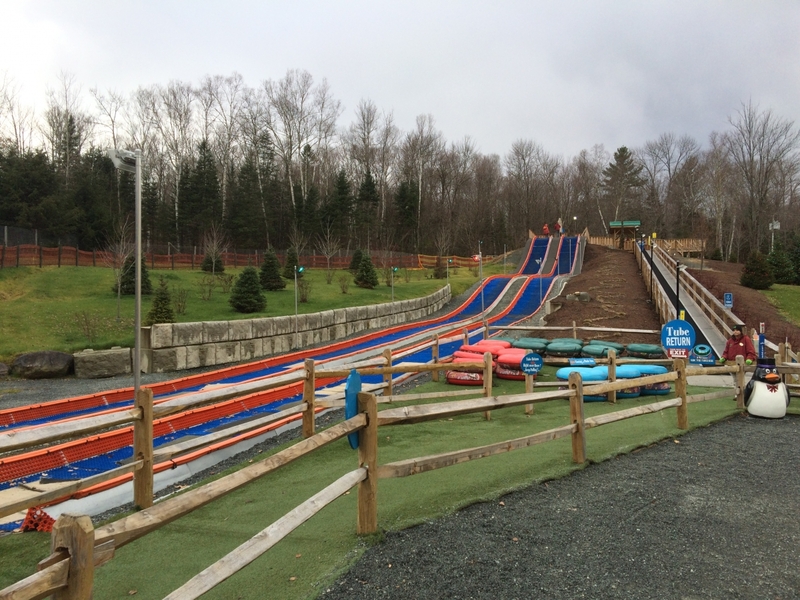 I rode it once in the summer and it was a pretty fun attraction where you grab an inner tube and go down a dry slide to simulate sledding. Well once the snow started, I figured it would speed YouTubing up so I headed over. I didn't see anyone on the ride, so I was worried it was down. I saw an employee and asked if it was open. They said it was, but they warned me it was running fast. The last riders were 4 or 5 year old kids and with the slippery conditions, their tubes went all the way to the end of the stopping area. That was music to my ears. The employees laid 3 tubes at the end to stop two crazy adults in my girlfriend and I. Once they sent us down, I could tell the ride was running faster. In the summer, the tube went fast down the drop and crawled over the flat sections. This time, the tube didn't slow down. When I reached the bottom, I shot down the stopping area, barreled through the inner tubes, and didn't stop until I hit the fence surrounding the attraction. That's a big thumbs up from me, especially seeing the shocked faces of the employees. Guess adults don't usually ride it haha. 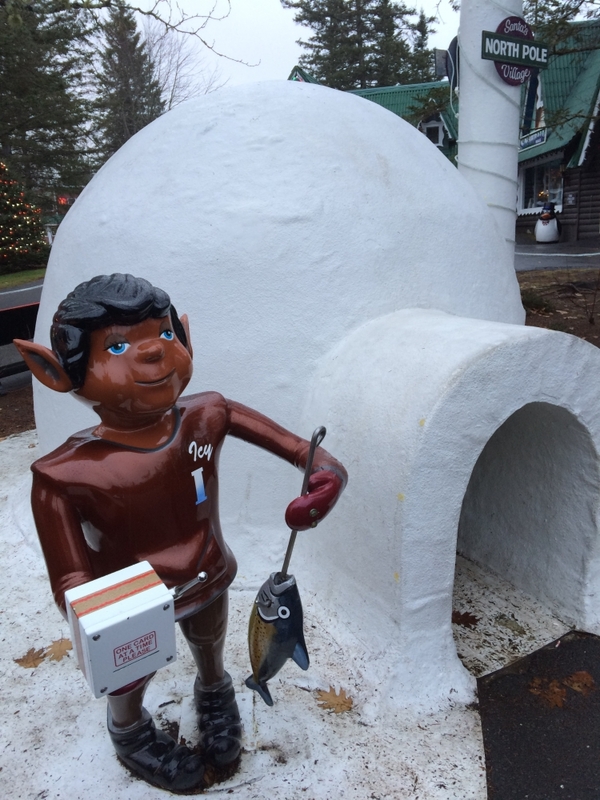 It's November in New England, but Santa's Village is still open! It was pretty cold so we were rewarded with no lines. I could even get that slide credit without creeping parents out! ABC, it's easy as 1-2-3. 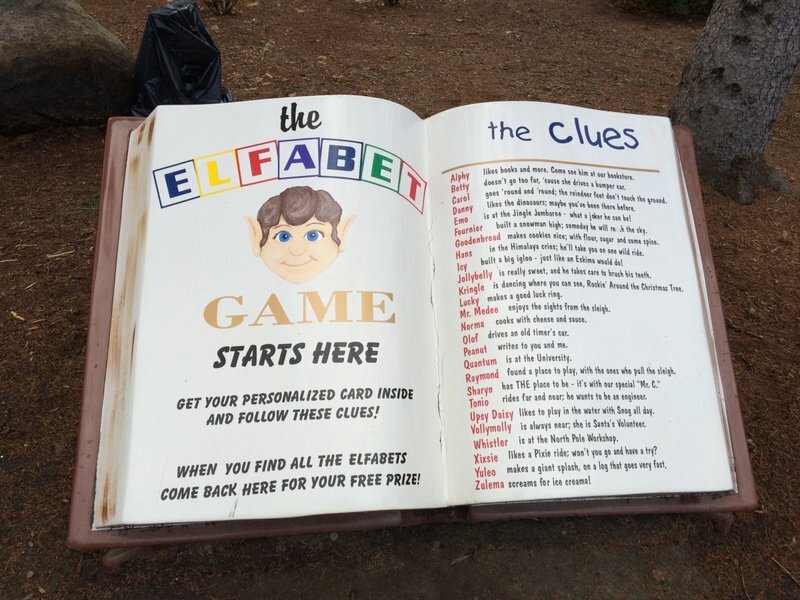 It's funner to play without the clues. My summer TR was missing elves. This time will have the best of the bunch like Quantum! And Icy who looks kind of high. Hi Emo! I have an interesting taste in elves. Yuleo was a sly little devil and not located near the closed flume. 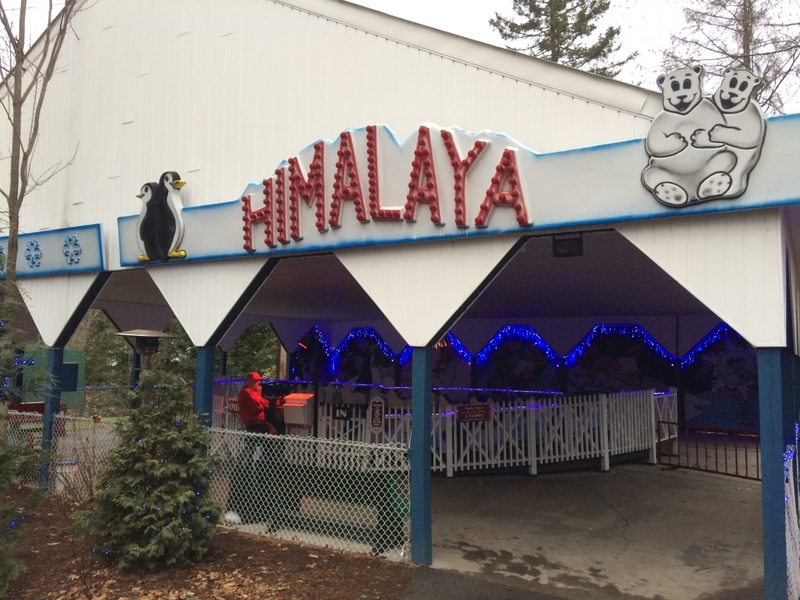 For reference, I totally would have ridden this in the cold if it were open. Other than the water rides, everything was open! Here's the new hotness, Poogie Penguin's Spin Out. Even when it started snowing, Rudy's Rapid Transit stayed open. First time riding a coaster in the snow! It was pretty frigid but worth it. The highlight was YouTubing (yes that's really the name). 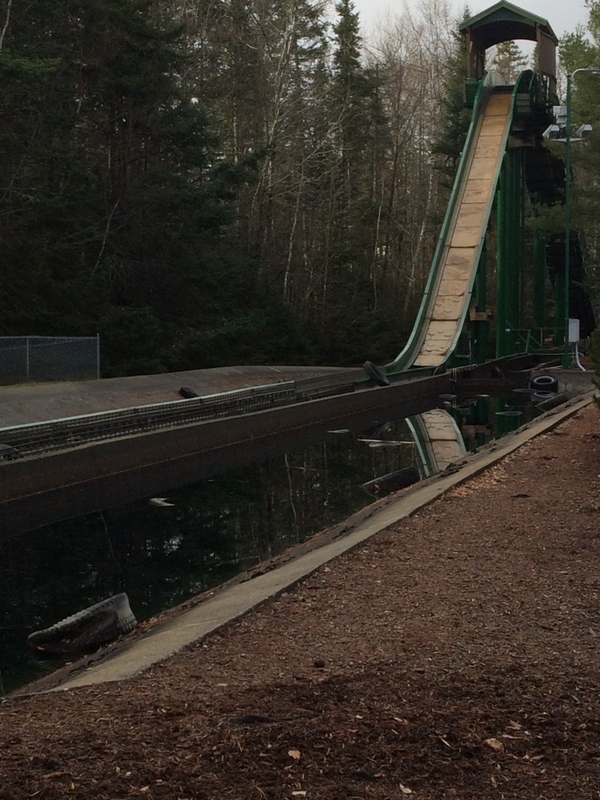 After it snowed, the track got extremely slick and I absolutely flew down the slide. The park has really nice theming on all of their rides. 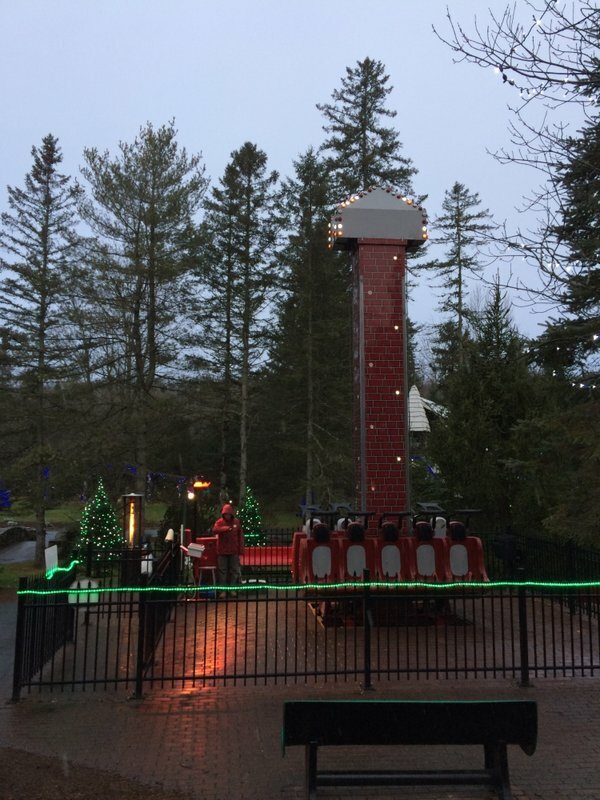 Even the drop tower has some nice theming to a chimney. 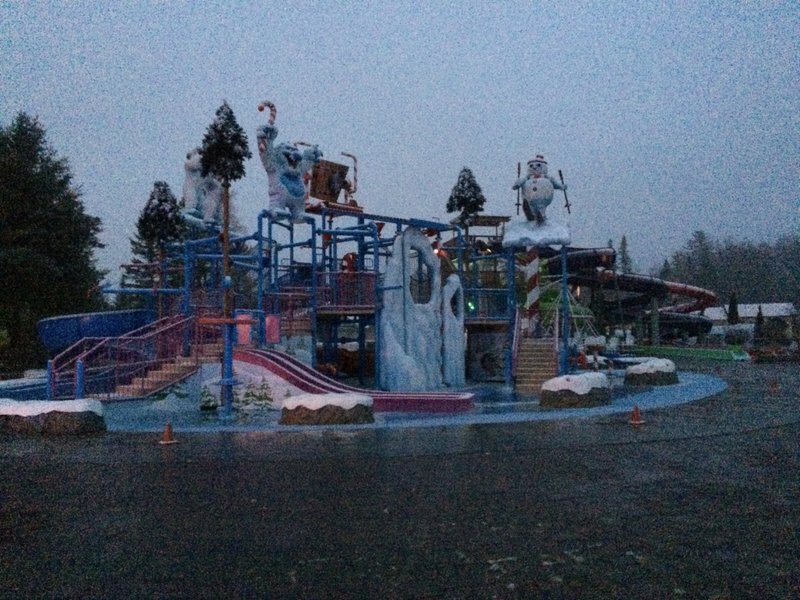 Ho Ho H2O was closed, but again it was well themed. 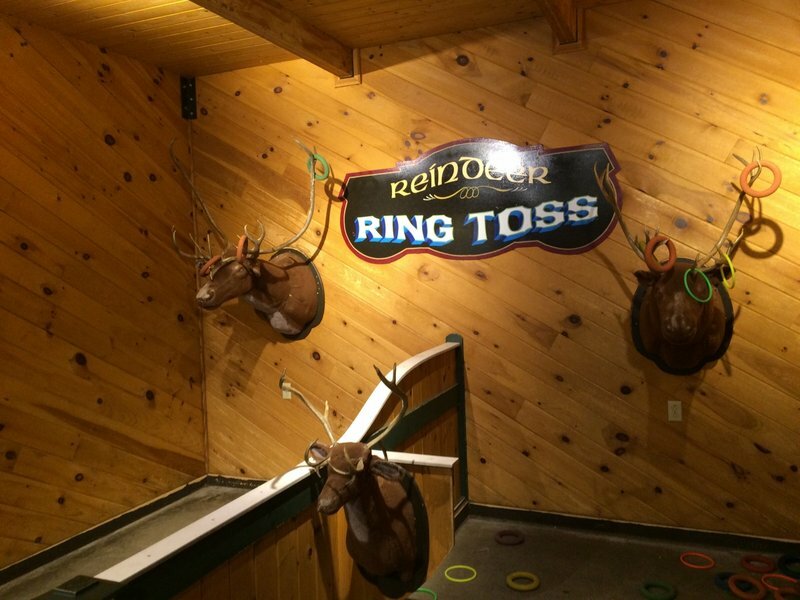 And you can play all the reindeer games (for free!). 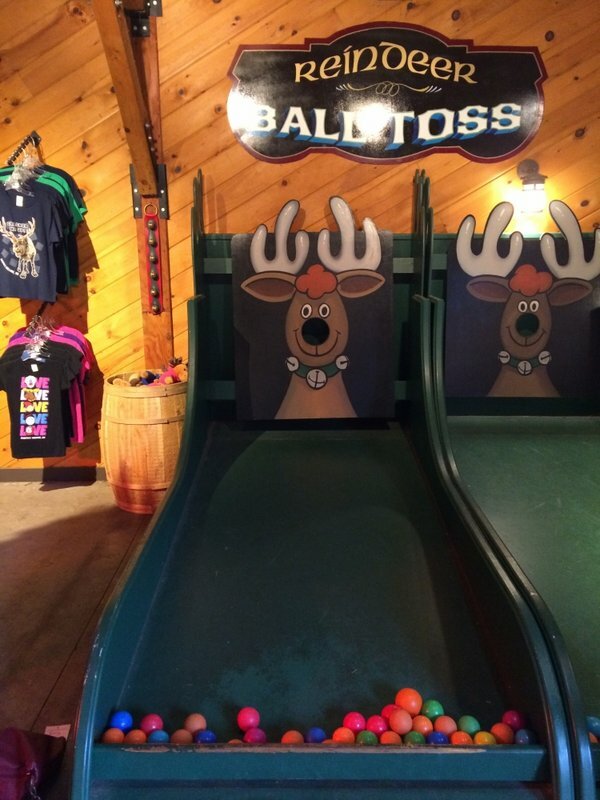 There's a ball toss. 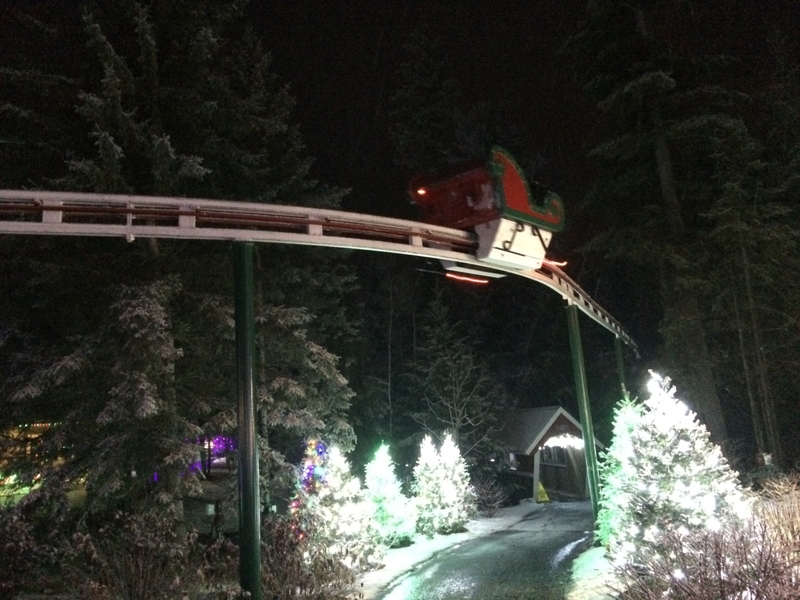 The Skyway Sleigh was one of the highlights. The monorail gave a great tour of the park. 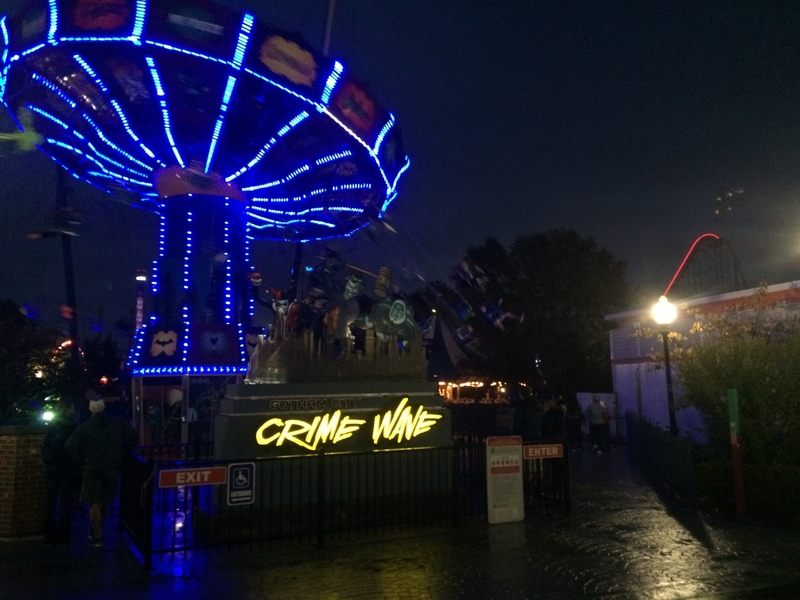 And the park absolutely came alive at night! So many lights everywhere. 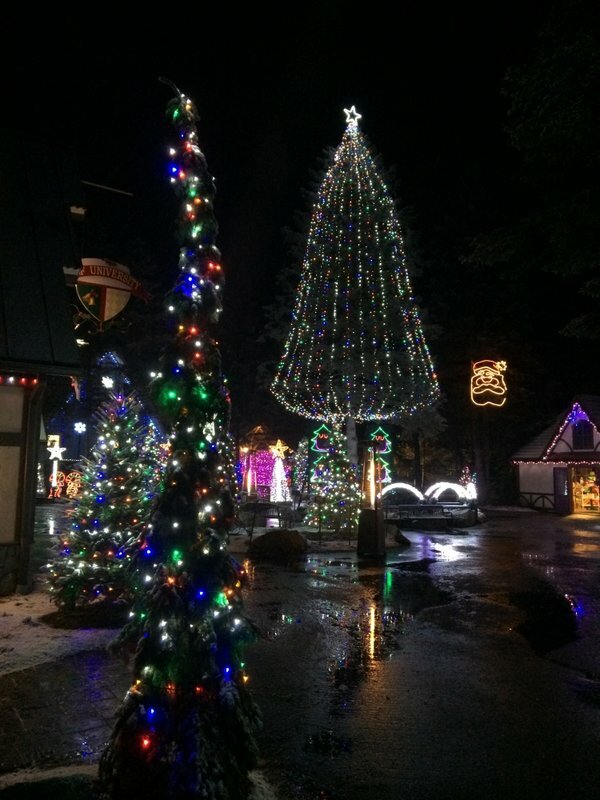 I really wish Santa's Village was open late during the summer. The lighting around the park is astounding. Perfect weather for a car ride together. This is a great Trip Report! 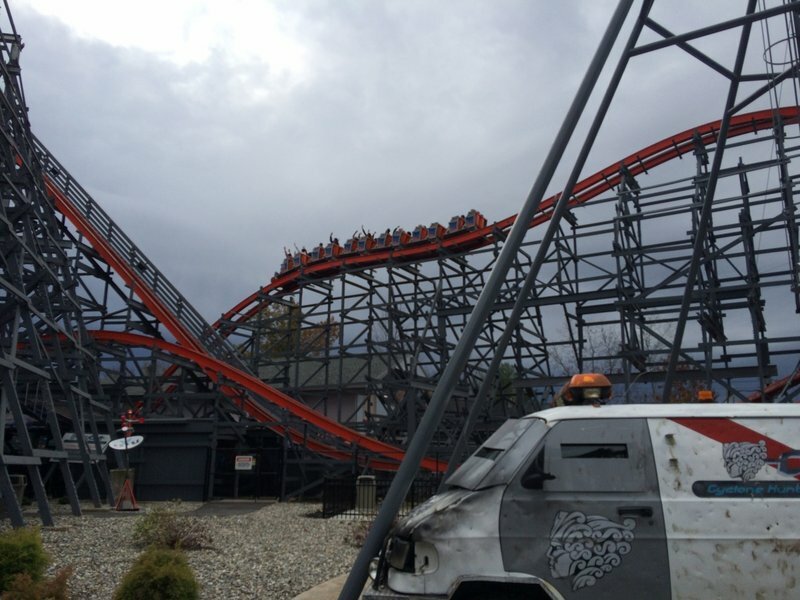 Would love to try Wicked Cyclone (never been to Six Flags New England to try the original Cyclone but heard the horror stories). Maybe one day.